Inquire, reserve and make payment at the Village Office, 780-373-3797. The Community Centre address is 212 Hanson Street and the phone number is 780-373-2252. Stags and Auctions are not allowed. Security Deposit - Equal to Rental Fee, with the exception of Weddings, where the Security Deposit is $500.00. Additional cleaning charged at $25.00/hour . 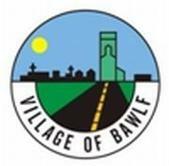 All cheques are to be made payable to the Village of Bawlf. Note: The parking of trailers on the street anywhere in the vicinity of the Community Centre during rentals or any other time is strictly prohibited. Trailers are to be parked ONLY in the Village campground. If the campground is unavailable, Village Office will provide instructions as to alternative parking.